Super kwalitatief en stabiel meubel. Kindjes zijn er superblij mee. Wel zwaar om te plaatsen voor 1 persoon alleen. 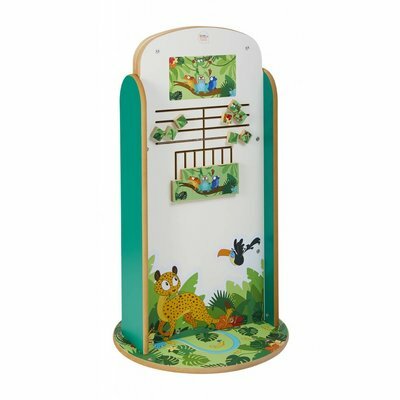 This highly solid indoor play system offers children of all ages a big deal of fun. 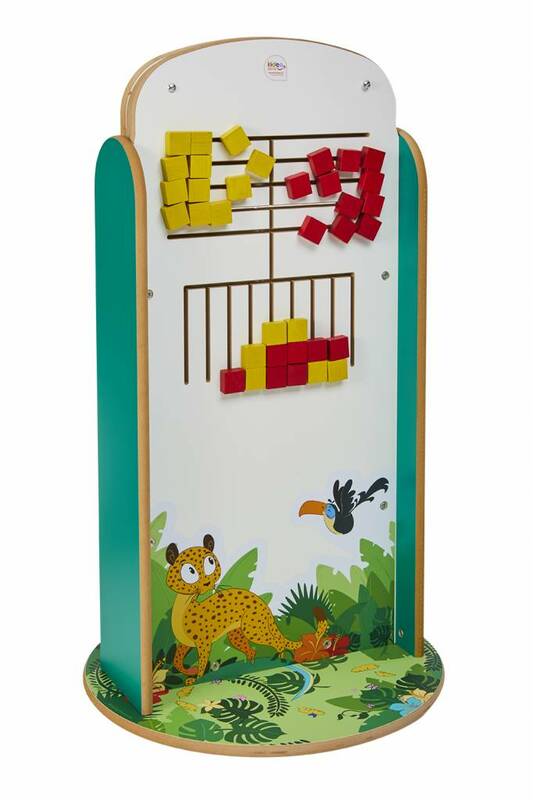 The front side features a very popular and challenging puzzle for young children (2 to 5 years) around a "jungle" theme. 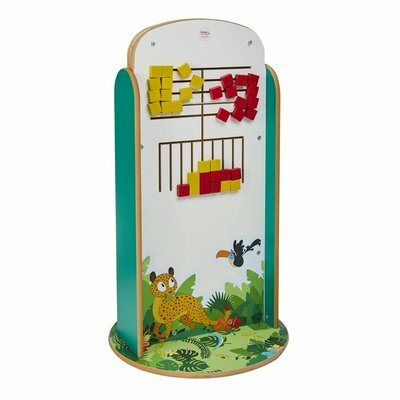 This puzzle consists of 28 parts that are permanently attached to the play module: they cannot go astray or be swallowed and consequently your kids corner will always remain tidy. 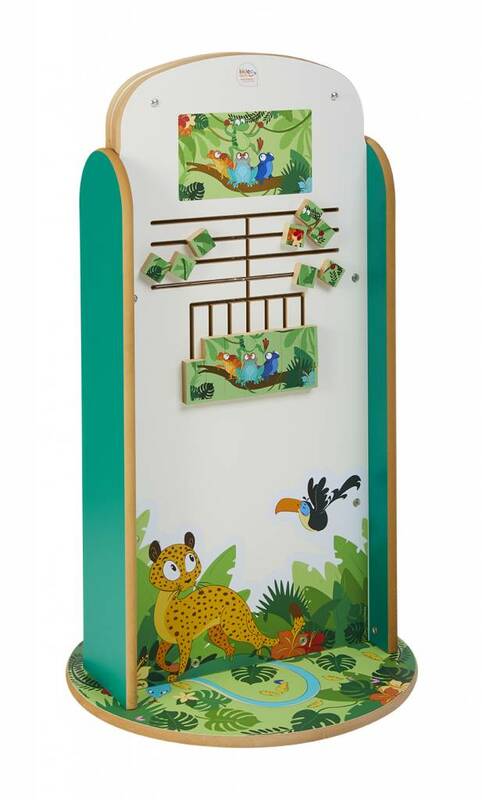 At the backside the play system offers a great game for the slightly older children (5 to 10 years) which is based on the popular "four-in-a-row" principle. Here 36 play elements are fixed with which kids try to line up 4 blocks of the same colour in a row, either vertically, horizontally or diagonally. The player who succeeds first, wins the game. Of course you can play all kind of related games like "3-in-a-row" or others. This extremely stable indoor play system is as solid as a rock. 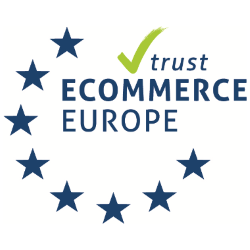 Its weight exceeds 20 kilograms and is therefore extremely safe to use. 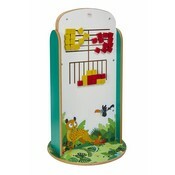 Yet you can move it to another place within your waiting room or kids corner at any time.